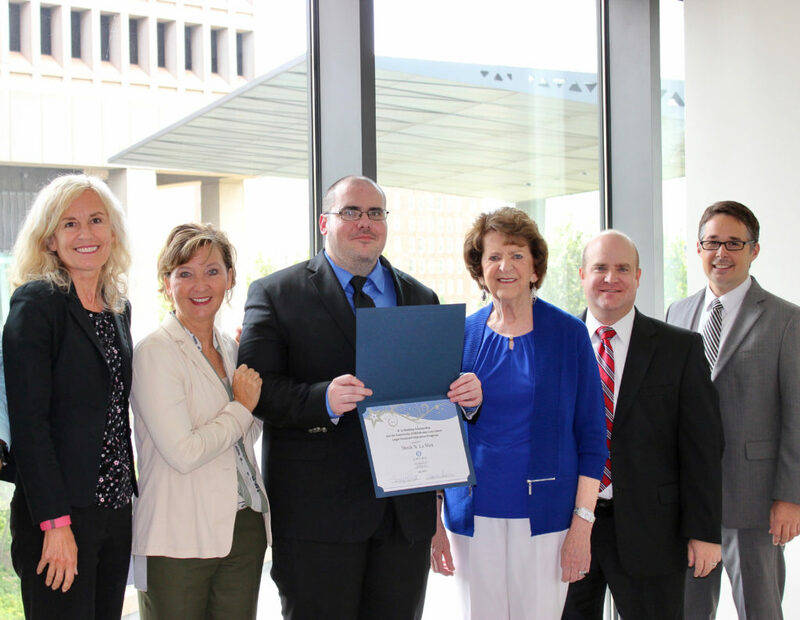 OKLAHOMA CITY – Crowe & Dunlevy recently awarded Derek N. La Shot with its annual $1,000 B. Jo Balding Scholarship for students in the University of Oklahoma Law Center Legal Assistant Education Program. A University of Oklahoma Law Center student in excellent academic standing, La Shot has completed coursework in property torts, criminal law, contracts, legal analysis, law practice management, legal research and evidence. He previously served as an English instructor at the University of Oklahoma and University of Alaska, Anchorage. La Shot holds a doctorate in English from the University of Oklahoma, a master’s degree in English from the University of Alaska, Anchorage, and a bachelor’s degree in psychology with minor in English from Eastern Washington University in Cheney, Washington. The Crowe & Dunlevy Foundation established this annual scholarship in 2013 to assist a University of Oklahoma Law Center student enrolled in the Legal Assistant Education program in his/her pursuit of a career in the legal field in honor of longtime Crowe & Dunlevy paralegal B. Jo Balding. After serving the firm for more than 50 years with professionalism and dedication, Balding retired in spring 2016.